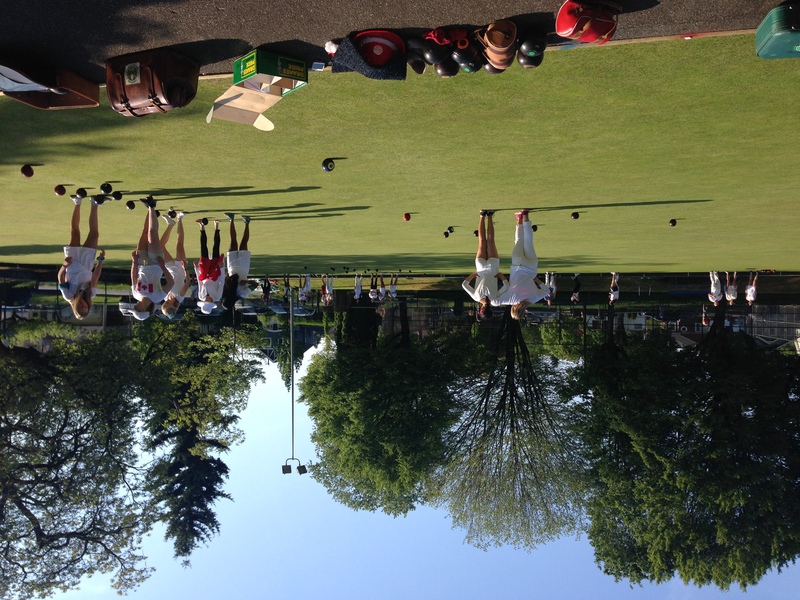 It was a great day on the greens at Van South LBC as the Canadian Women’s Field Hockey Team hit the greens for some team bonding and to learn about the Sport of Lawn Bowls. 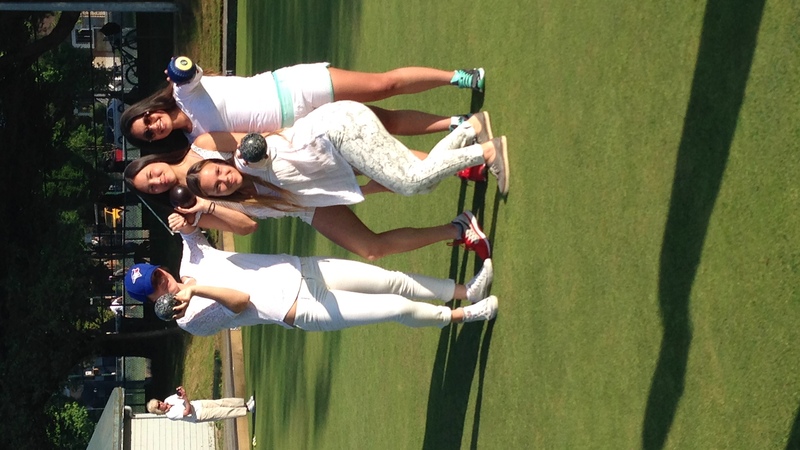 Over 30 girls were out for the afternoon of bowls. The Team consisted of girls from across Canada and included athletes from Oakville, right across the country to White Rock. The aim of the day was to bring two very different sports and put them together to learn about the rules, techniques and finer points of the sport. Stephanie Andrews who is the assistant coach of the Women’s team thought it was a great day for her team “Its great that we can get the girls out here and learn something new, do a bit of team bonding and meet some new people”. There were some great volunteers on the day as Steven Santana, Jamie MacGowan, Billy Mason, Jon Braun, Shannon Santana, Doug Propp, Joe Hunt and Tim Mason all pitched in and helped to show the girls how to play. “It’s important that we continue to make contacts in other sports and continue to show what we have to offer, as all of these girls aren’t going to be competing at this level forever” said Tim Mason. We have to show why our sport should be included with other top sports in the Province and the Country. We are definitely headed in the right direction. With all the school programs, corporate events and now aligning ourselves with other major sports, it keeps us moving forward with positive steps. Prizes were given out to some target Champions and of course the ever popular “Spyder” finished off the day with some lucky winners walking away with some t-shirts. 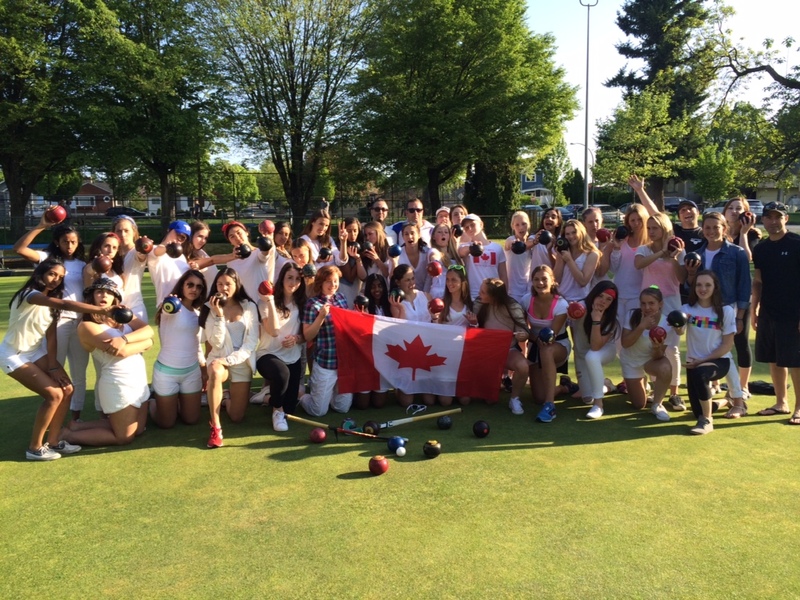 This is the first of many initiatives with other sports as we continue to roll on and show why the Sport of Lawn Bowling is heading in a new direction.